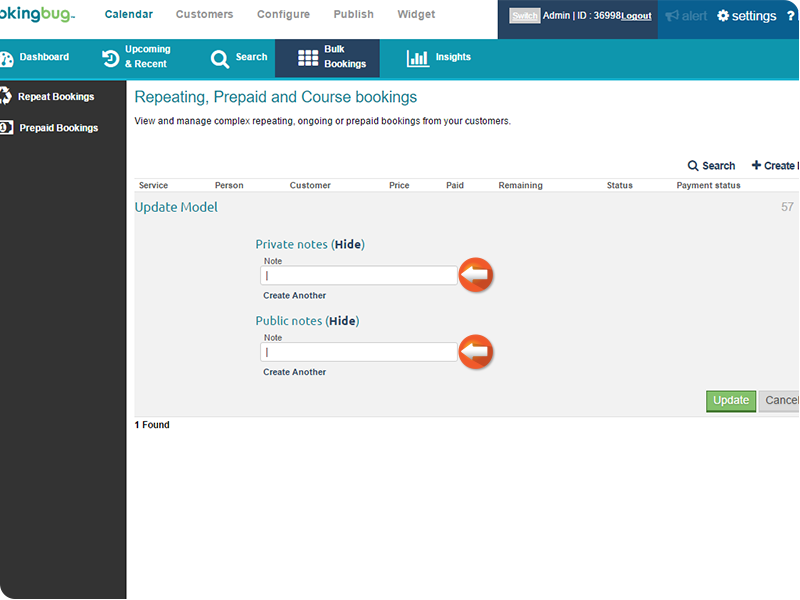 BookingBug allows you to make Private and Public notes about specific Bookings. 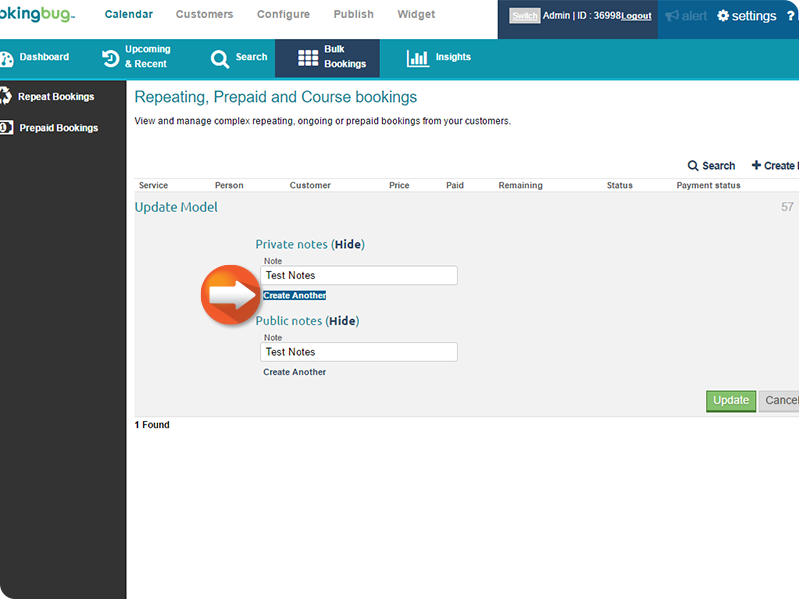 Private notes will only be visible to Users & Admins of BookingBug. 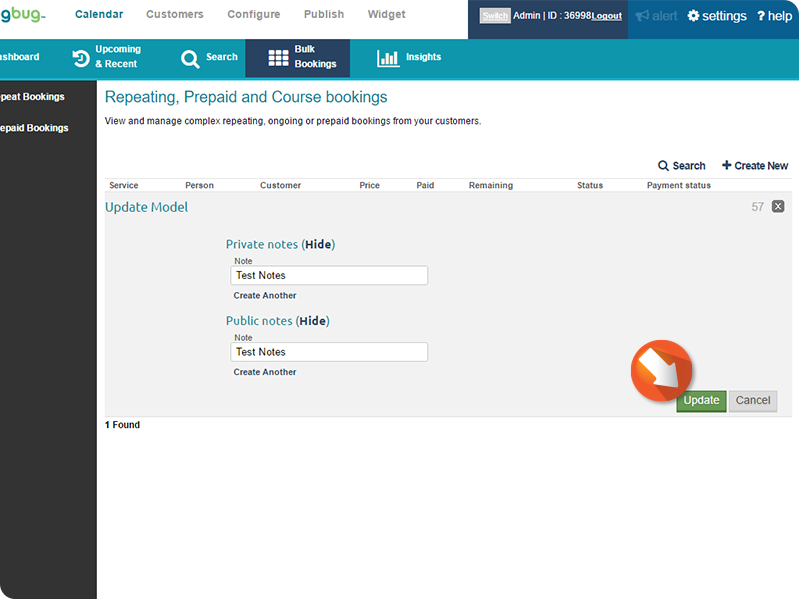 Public notes will be visible to Users & Admins of BookingBug as well as Customers. 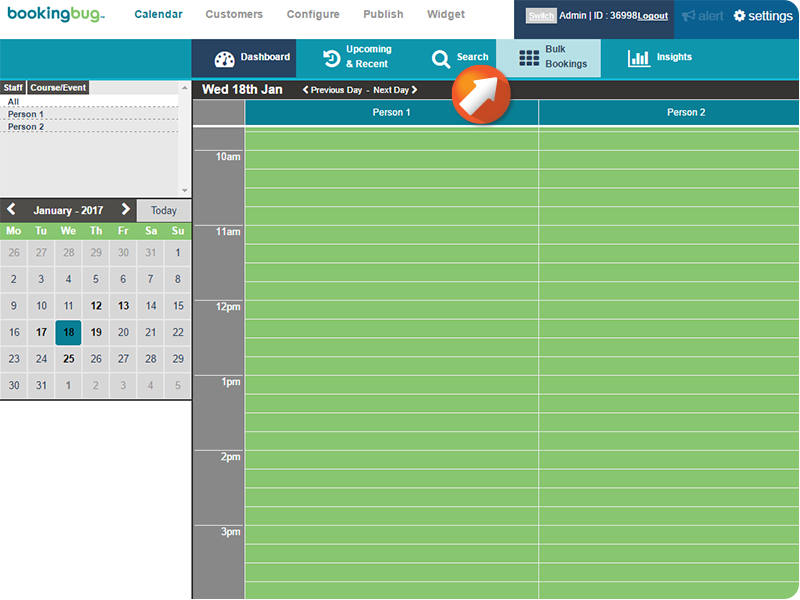 From the Dashboard, click Bulk Bookings. 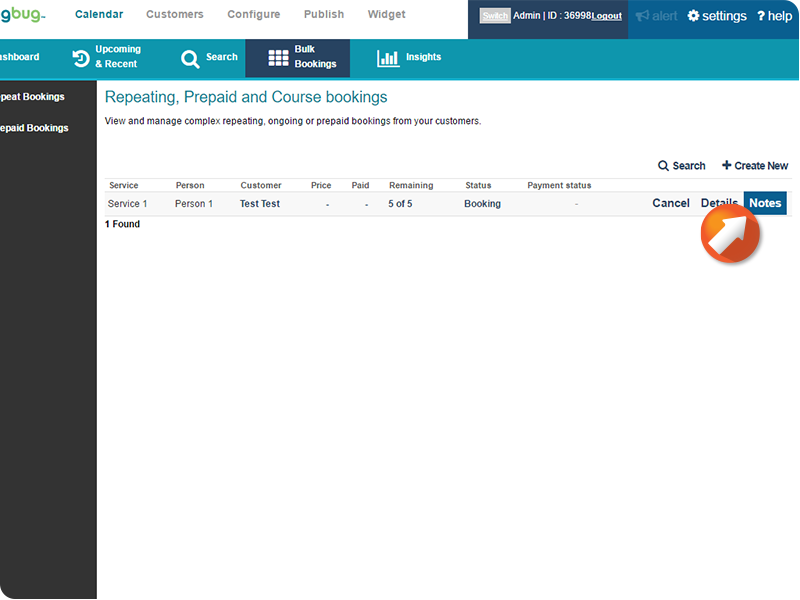 Click the desired tab, Repeat, Prepaid, or Course Bookings. 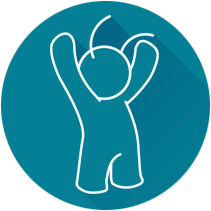 Mouse-over the Actions icon of the desired event booking and click Notes. Enter the required notes in to either the Public or Private Notes field. You may also click Create Another under those fields to add additional notes. Click Update when complete to save changes.